Ready to play the nefarious Gill-Man from the iconic 1954 Creature From The Black Lagoon? You're going to want to make sure your costume is up to snuff—especially if you happen to wander up to any particularly astute film buffs. Take it from us: not having the proper footwear is going to be a dead-giveaway that you're not in it for the authenticity, that you probably never saw the flick, or that you have a wish to be less Black Lagoon and more Scooby Doo monster! Along with our officially licensed costume accessories, you can be the classic monster, or create your own. 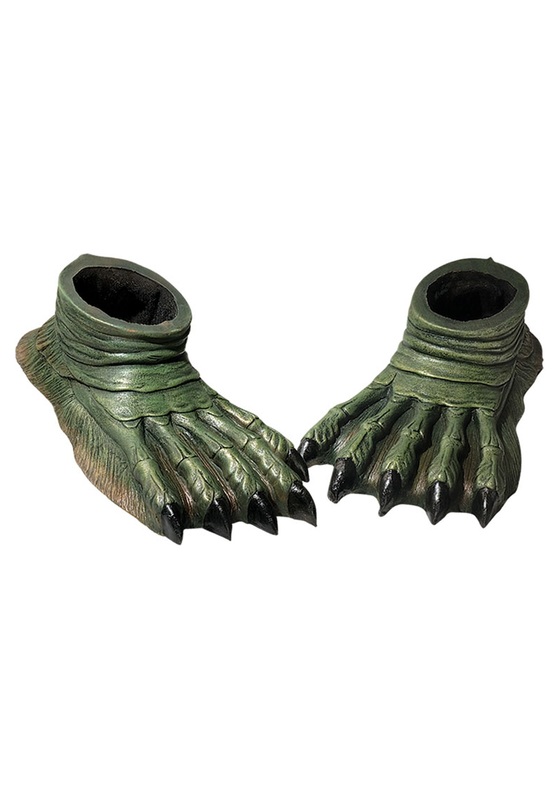 This one's officially licensed by Universal Studios, so you won't have to worry about all that while you stomp around in these realistically colored and textured swamp feet!